The Panasonic Eluga S smartphone was launched last year in the month of November and succeeded the Eluga series of smartphones which was preceded by the Eluga U and A series. The Japanese brand launched this set with 5 inches IPS LCD capacitive touchscreen powered by Mediatek chipset having 1.4 GHz Octa-core processor. The phone also featured with an 8 MP camera that captures crisp photos and dual SIM functionality has also been provided. The design aspects are quite similar to the initial Eluga series smartphones. At the time of Launch, Panasonic Eluga S Mobile Price was Rs.7,500. It is really a value for money, as you get to have an Octa-core enabled phone with decent battery life and an amazing front camera that takes great selfies. 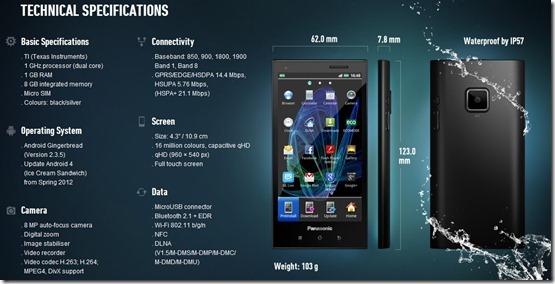 The design of the Panasonic Eluga S is very similar to the previous Eluga range of Smartphone like Eluga U and Eluga A. The edges of this phone have been trimmed and the false leather back panel on the Smartphone looks decent. The phone is made unibody having a glassy appearance, but then again, there is nothing out of the ordinary in the design to woo away the customers. Panasonic seems to forget yet again to focus on the design feature of the Eluga series of Smartphone as the Panasonic Eluga S looks very much similar to its predecessors. The phone is really handy as its dimensions are 5.55 x 2.80 x 0.31 inches, making it possible to use with one hand only. The phone weighs around 135 grams and so is really light weight, which gives you the freedom to use it continuously for the long duration of time. There are two colour variants of this phone namely Black and White. The Panasonic Eluga S is provided with 5.0 inches IPS LCD capacitive touchscreen having 16.7M colours providing screen resolution of 720 x 1280 pixels. The phone is multi-touch enabled with a display having approximately 293 pixels per inch. The screen produces bright and vibrant colours for a medium ranged Smartphone and the use of IPS LCD display provides great viewing angles and colour reproduction. The amount of colour saturation is optimum while the even tone gives a very nice readability to the phone. The reflective screen of this set can be a bit of a problem sometimes, if you want to read something in direct sunlight, then the screen reflects too much light thus making it difficult to view the display. 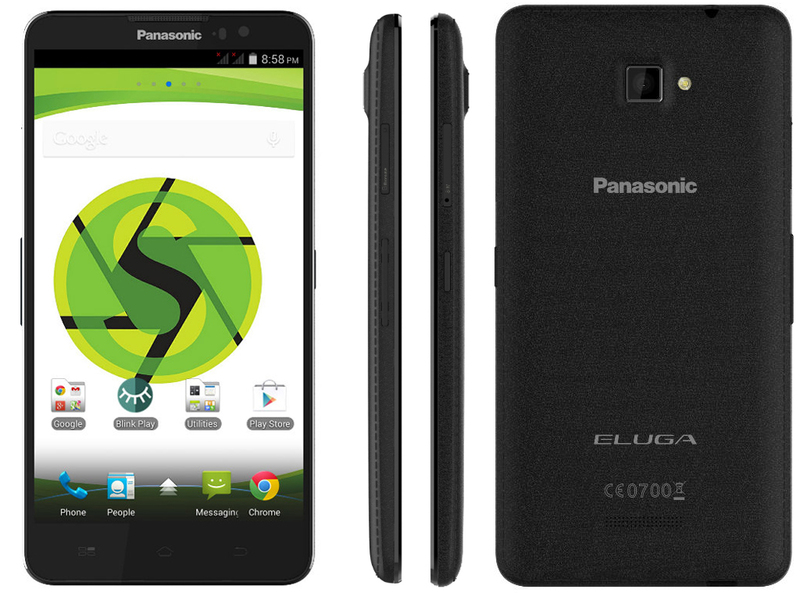 The Panasonic Eluga S is provided with 8 GB of internal memory which can be expanded using a MicroSD card up to 32 GB. It also comes with a 1 GB RAM. The Panasonic Eluga S is powered with Mediatek MT6592M chipset having 1.4 GHz Cortex A7 Octa core processor, which works decent enough and the same Mediatek chipset are also used in the HTC Desire 616 Smartphone. The reason Panasonic thought of providing eight cores in the phone that too with only 1 GB of RAM to complement them, remains unknown but, the experts think of this move as a step to advertise the set having eight cores but at the prices one gets to have this phone you cannot complain. The phone works really smooth and there are no issues concerning delayed touch feedback and lag all credits to its octa-core processor. 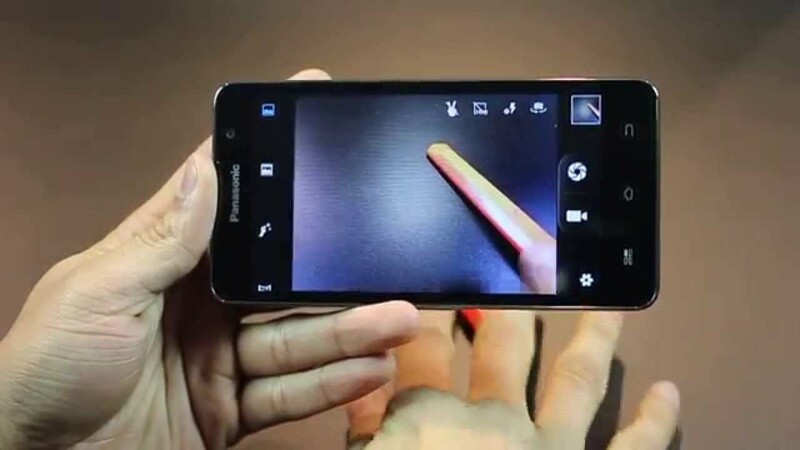 The Panasonic Eluga S is provided with an 8 MP Primary camera providing 3264 x 2448 pixels with features like autofocus and LED flashlight. The Secondary camera is provided with 5 MP while the phone can take full HD quality videos at 1080p@30fps. The front camera is something to look for, as it comes with an amazing feature for taking selfies which come under the name Blink Play. Using the Blink Play feature, you can click selfies by blinking your eyes in front of the phone, which in turn activates a three-second countdown after which it automatically captures selfies. The picture and video quality are decent with enough details while the phone fails to take good pictures in low lighting conditions. The Panasonic Eluga S is provided with a 2100 mAh, non-removable Li-Ion battery for which the company promises to last up to one day with moderate to heavy usage. The battery delivers decent performance just like the other latest smartphones in its market segment. The Panasonic Eluga S runs on Android 4.4.2 KitKat operating system with Fit Home UI, which is developed in-house by the Panasonic’s software team. There is an option to change the UI back from Panasonic’s UI to default Android KitKat’s UI, which is really a great function if you don’t like the Fit Home user interface. The phone comes with Dual SIM capability and the speakers provided in the rear of back panel work okay. At the price you get to have the phone, you won’t really complain much about the lack of certain features like no 4G accessibility. Panasonic has really focused the youth segment providing these features. The phone also gets fierce competition from other makers like Xiaomi phones and Motorola phones which also offer similar specs at the same price band. 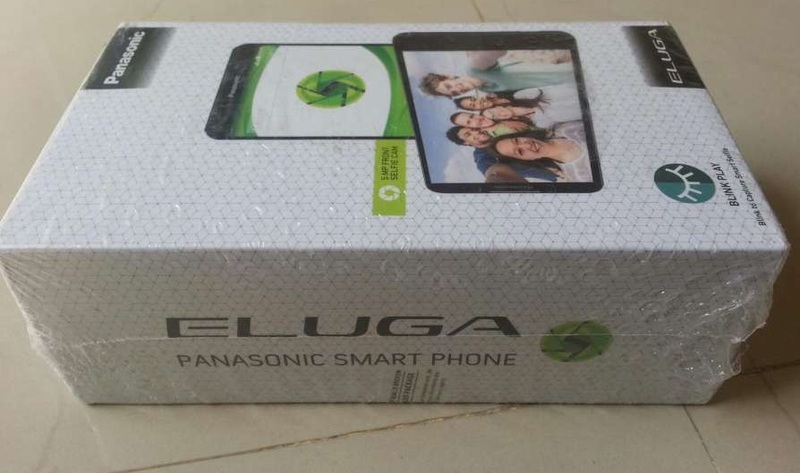 The Panasonic Eluga S has attained a feature score of 70 on Pricejugaad.com. which gives it an average outlook while the Pricejugaad predicts that there will be no change in Panasonic Eluga S Mobile Phone Price over the next 2 weeks while after 1 month the price can go down by some amount. If you are on a lookout for a decent Octa core phone that takes amazing selfies then you can surely think of getting this phone. N2 Elite UK and Italy|Which site to choose in UK and Italy for buying N2 Elite and N2 USB Reader?